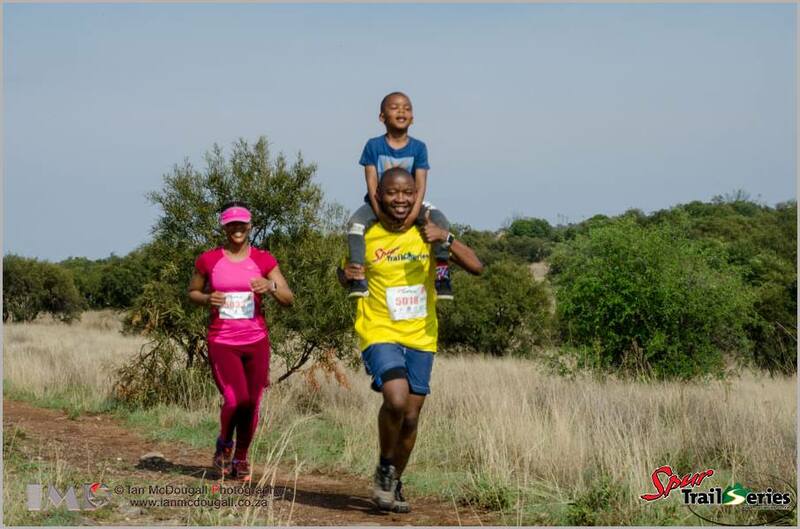 The Spur Gauteng Summer Trail Series® entered its second week and we were treated to a superb race at the magnificent Segwati Game Ranch as just over 500 runners laced up their shoes at the start line for race 2 of 4. 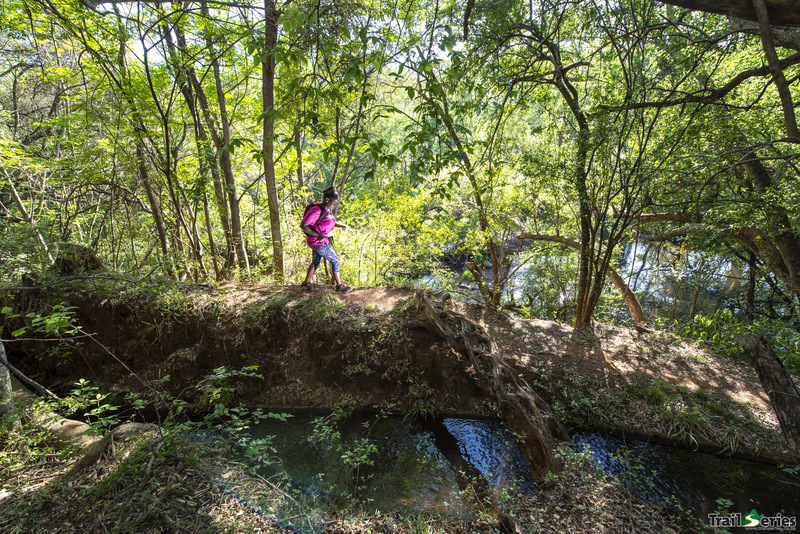 The men’s 12.8km long course Championship race saw a dominant display of trail running by the humble Fidel Ncube as he flew into the home straight in a time of 54:25 to win by more than three minutes. In the ladies long course Championship race, there was no doubting who was the strongest as Maphuti Phaka led from start to finish and cruised home in 01:00:51 to take her second win of the Series. In the ladies long course Championship race, there was no doubting who the strongest was as Maphuti Phaka led from start to finish, stamping her authority on the race and indeed the Series as she cruised home in 01:00:51. Not only did she claim the overall ladies win but she also came home ninth overall. Second overall went to Magretha Wang who showed she is no slouch as she came home in 01:07:47 with veteran Benita Kritzinger claiming third position overall and the win in her category in a time of 01:09:46. The 7.6km short course Challenge race also saw impressive running displays as Ryan Mathaba showed remarkable consistency to place first overall with a time of 31:18 to make it two wins from two in his category. Juniors, Daniel Rademan and Ezra Ferreira followed not too far behind in 2nd and 3rd overall respectively in times of 32:46 and 32:54. In the ladies Challenge race, Anita O’Brien held off the charge of Phyllis de Fouw and Jeannie de Beer to come home first overall with a time of 38:30. De Fouw secured second overall with a time of 40:26 with de Beer right behind her in a time of 40:44 to claim the last spot on the overall ladies podium. With two races now completed, the competition for overall category prizes is heating up and we are looking forward to another special day out next week at B’Sorah for race 3. A big thank you to our sponsors who make this all possible; Spur Steak Ranches, BOS Ice Tea, Protea Hotels and Graham Beck. Click here to see the full results and here for more photos. To be a part of the fun, click here to enter race 3 now! 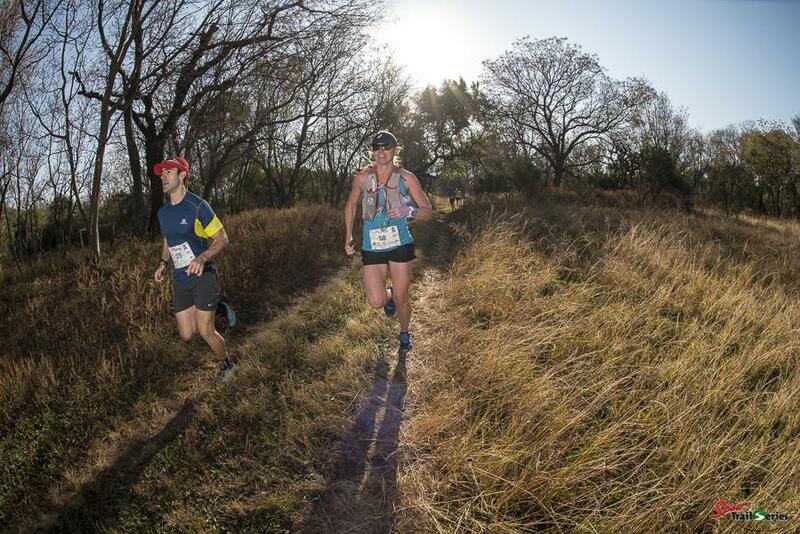 The Spur Gauteng Winter Trail Series™ came to a conclusion this weekend when more than 900 runners took on the final race of the Series at Leeuwenkloof on another picture perfect day. This brand new venue certainly charmed everyone present with challenging climbs, flowing single track, beautiful bushveld views and a surprise section through an old mine tunnel. Edwin Sesipi continued his dominance in the long course Championship, claiming his fourth straight victory as he stormed home in the 13.9km course – several minutes ahead of his closest competition, Fidel Ncube, in 57:34. Ncube claimed second place in a time of 01:01:46 to also take second position in the overall Championship at his first ever appearance in the Spur Trail Series™. Third across the line was Frank Kienhofer in a time of 01:06:57 to complete the men’s podium. In the ladies long course, Lerentia Strydom was all business as she took her third win of the Series to be crowned female Championship winner in a time of 01:16:17. Kaltenbrunn could not repeat her first place from race 3 and had to settle for second position with her time of 01:20:32. Benita Kritzinger was the third woman home in 01:22:36, which means Strydom was crowned as the Championship ladies’ winner for the second time running, while Kritzinger claimed the veteran’s title. The short course Challenge made for some exciting racing as usual and the front runners were separated only by seconds. First runner home was Ezra Ferreira as he completed the challenging 7.7km course in a time of 38:18. Shortly after, Ryan Mathaba crossed the line in 39 minutes flat while Daniel Rademan grabbed the final spot on the podium in a time of 40:17. With this Mathaba claimed the overall Challenge title while Ferreira was crowned as the junior champion. Adel Terblanche grabbed her fourth win on the trot in the ladies short course as she romped home in a time of 44:47 to be crowned the female champion of this year’s overall Challenge. Second across the line was Jeannie de Beer in a time of 49:32 with Elzani Smith taking third in 51:06. 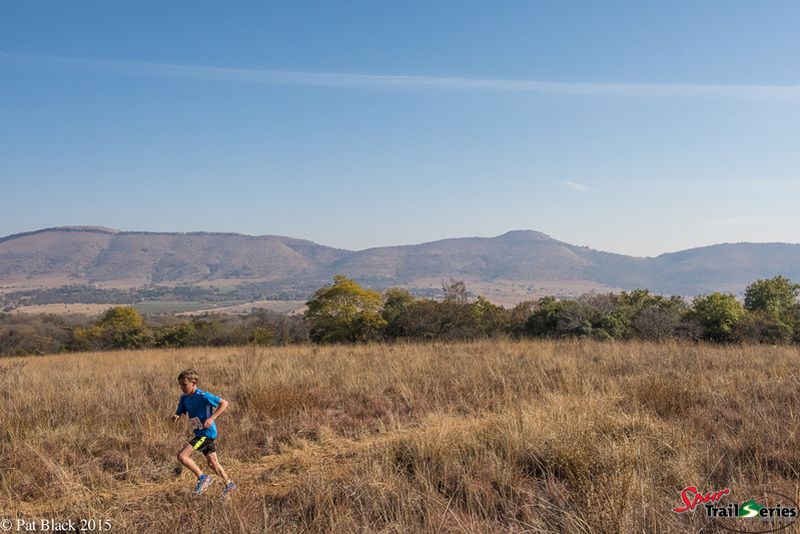 It was an incredible four weeks in Gauteng and the growth of trail running in this area continues to astound us. 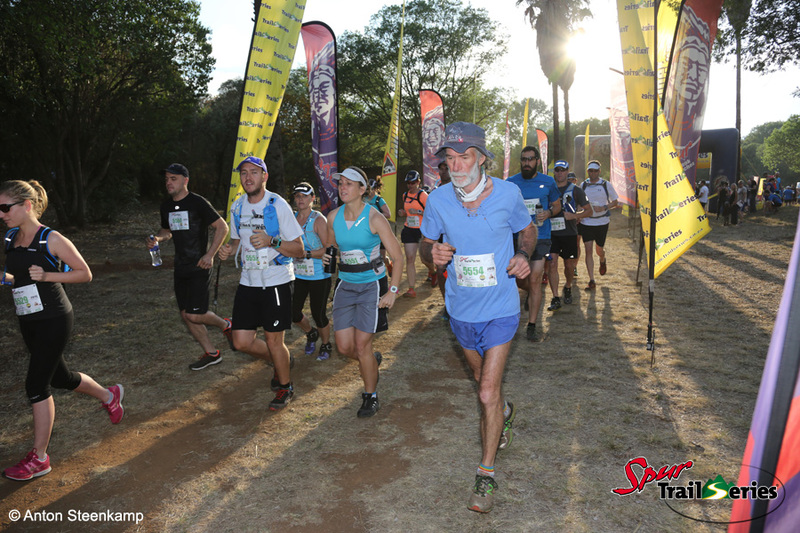 A big thanks to all the runners who made this our biggest Series yet and to our amazing sponsors, Spur, BOS Sport, Protea Hotels and Graham Beck, who play a major part in the continued success of the Spur Trail Series™. 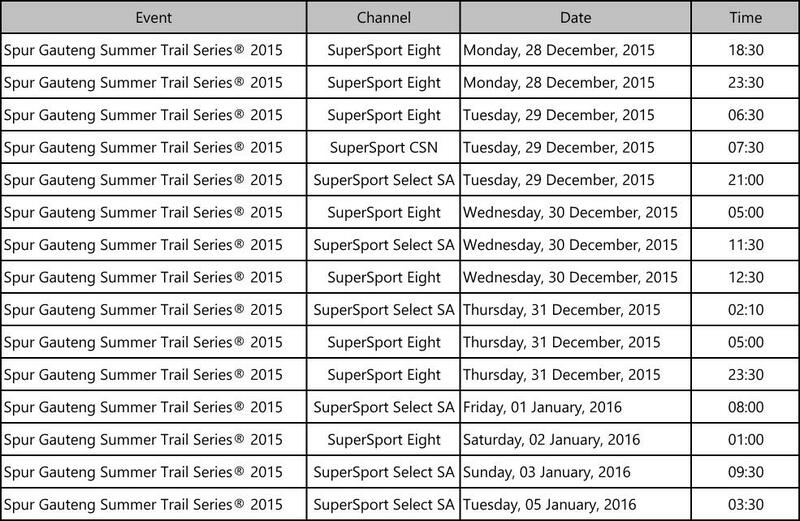 We’ll be back in Gauteng in the summer, but for now it’s time to hit the Cape winter! 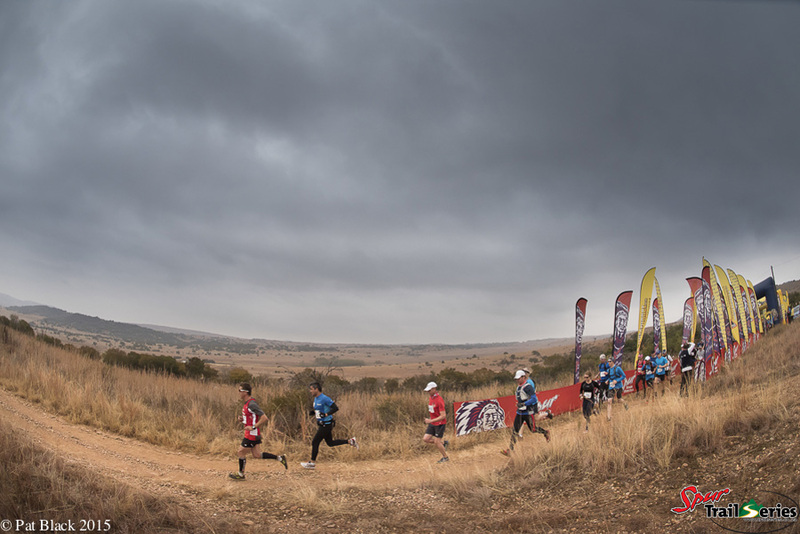 Race 3 of the Spur Gauteng Winter Trail Series™ took place at Segwati Game Ranch on a cool and crisp Highveld morning as nearly 1,000 runners finished the penultimate race of the Series. 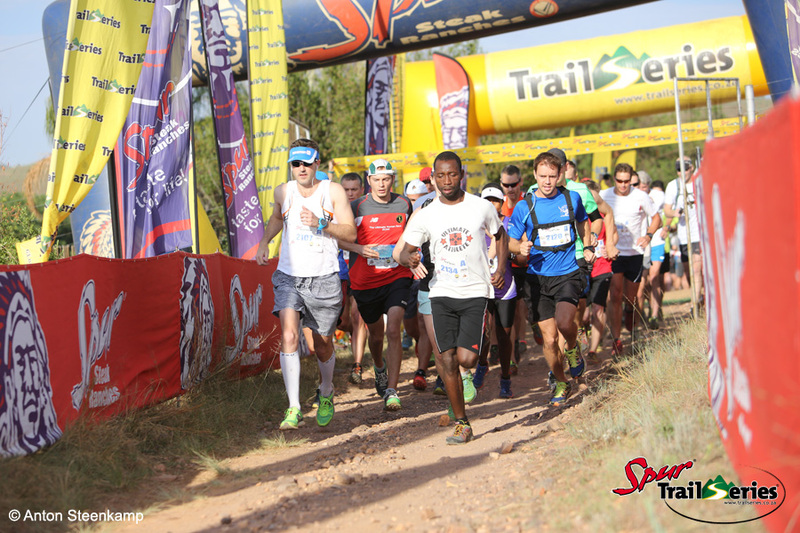 In the long course 10.5km Championship race, Edwin Sesipi stamped his authority on the Series and claimed his third win out of three to seal his position as king of the Spur Gauteng Winter Trail Series™ for 2015. He held off the challenge from Michael Bailey as the two went head to head for the second time this winter. Sesipi eventually came out on top in an exceptional 40:27 with Bailey coming home in 41:53. Third over the line went to Jacov Lalou in 44:26 to round off an impressive overall podium. In the ladies Championship race, there was a change of order as young Robyn Claire Kaltenbrunn swapped her second and third places from races one and two with top spot this week, winning in a time of 50:04. 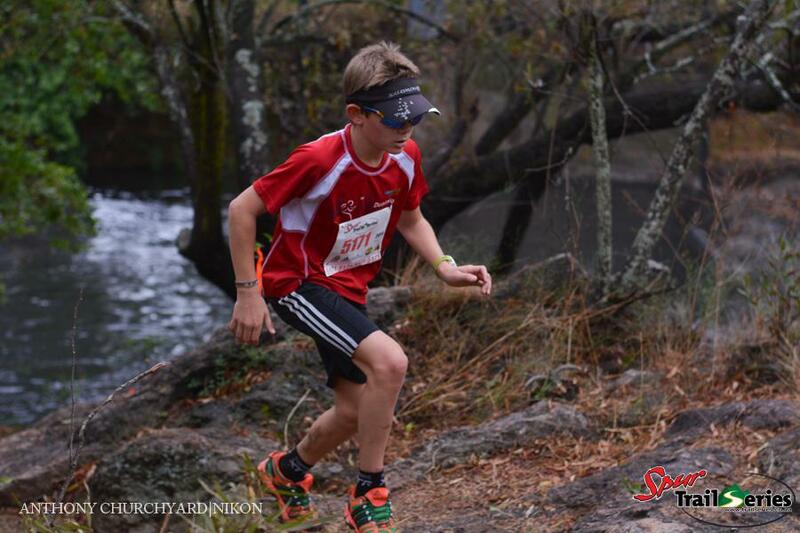 The winner of the previous two races, Lerentia Strydom claimed second over the line in a time of 50:55 and Nerissa van der Walt crossed under the arch in third overall in a time of 52:37 to set up a cracking finale this coming Sunday at Leeuwenkloof. In the men’s short course 5.5km Challenge race, Ryan Mathaba used his experience to take the outright win for the first time this Series as he came home in a time of 22:10 with Ezra Ferreira and Daniel Rademan sprinting down the home straight to settle second overall. Rademan pipped Ferreira by a mere 2 seconds as they came home in 22:26 and 22:28 respectively. In the ladies race, Adel Terblance yet again proved to be the strongest female out on the course as she sprinted home in 25:02 to take her third win on the bounce. Zoe Brentano pushed her all the way to finish in second place overall in 26:26, while young Kayla Visagie proved to all she has a bright future on the trails by claiming third over the line in a superb 27:49. 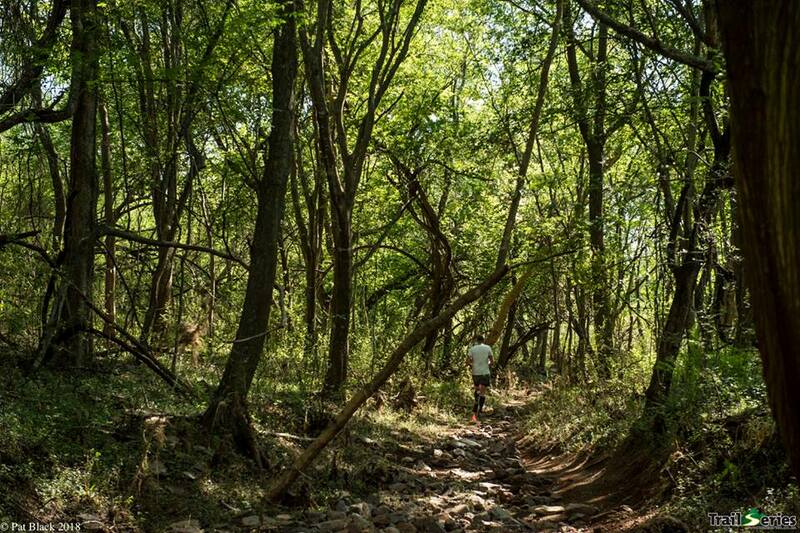 It was another great day on the trails and we look forward to welcoming you all to the Series finale at Leeuwenkloof, a brand new venue for the Spur Trail Series™. A big thanks to our sponsors, Spur Restaurant, BOS Ice Tea, Protea Hotels and Graham Beck. Click here for full results and here for photos.